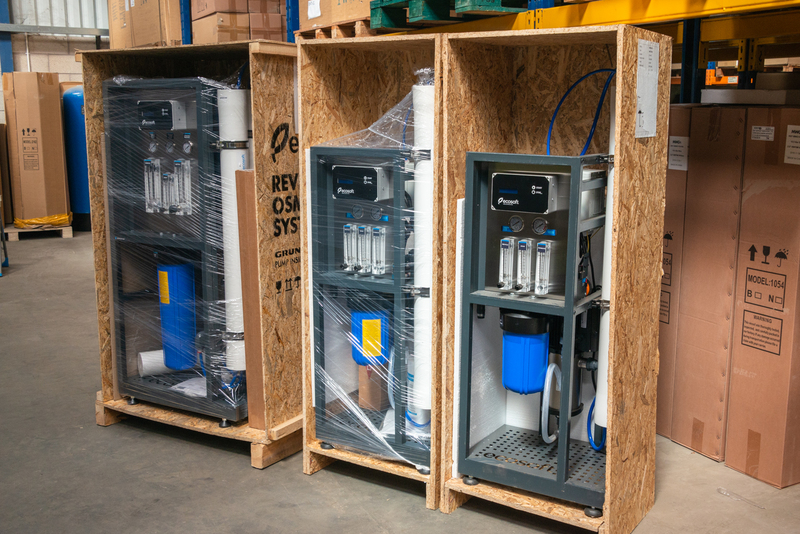 These small commercial reverse osmosis units are ready for despatch, their size ranges from a capacity of 6,000 litres per day to 24,000 litres per day. 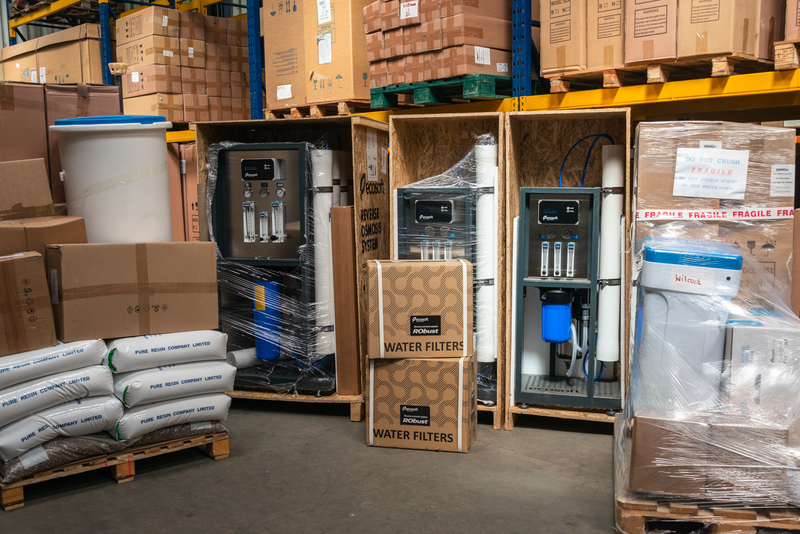 As with all reverse osmosis systems the key to a successful and cost effective installation is ensuring that the pre-treatment is correct. Take a look at our Services page to find out how we can help you!